Pierburg China Ltd. is a wholly owened enterprise and part of the Pierburg GmbH, a Neuss/ Germany based automotive supplier. As part of the Pierburg global strategic planning, Pierburg China Ltd. Was registered in Kunshan in April 2009 with the vision to be a fully competent production plant based on Pierburg world standards and Lean systems. Pierburg offers highly advanced technological system solutions that help produce an economically and ecologically balanced automobile. 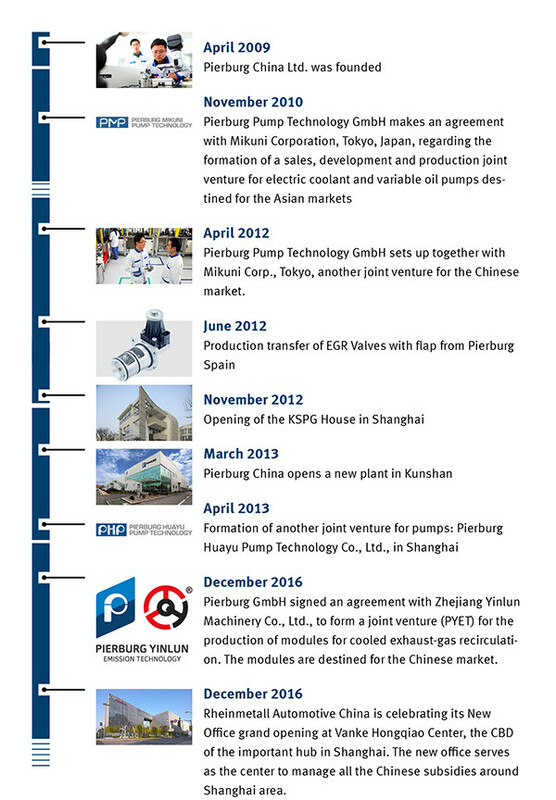 Pierburg China focuses on the Chinese power-train market with potential for Asian and Pacific market.